O’FALLON – HSHS St. Elizabeth’s Hospital, and its parent company Hospital Sisters Health System (HSHS), announced Tuesday that they have received approval from the Illinois Health Facilities and Services Review Board (HFSRB) to lease space for a radiation oncology clinic near their new, state-of-the-art hospital along Interstate 64 and Green Mount Road in St. Clair County. The 11,750 square foot clinic will be constructed by Green Mount Enterprises, LLC with space being leased to St. Elizabeth’s. St. Elizabeth’s services will offer patients access to personalized cancer care all in one convenient location. Technologies and treatment techniques will include a linear accelerator and CT-simulator, intensity modulated radiation therapy (IMRT), image guided radiation therapy (IGRT), stereotactic radiosurgery (SRS) and stereotactic body radiotherapy (SBRT). Additional services such as cancer clinical trials from the National Cancer Institute, University of Chicago, NSABP Foundation, and other pharmaceutical trials along with genetic counseling, cancer screenings, wellness programs and cancer prevention education will provide ongoing support to the community. Cancer Care Specialists of Illinois (CCSI), a medical oncology physician group, plans to lease separate space in the building where PET/CT services will be available. St. Elizabeth’s is the only American College of Surgeons, Commission on Cancer designated cancer program in the service area of southwestern Illinois. “This comprehensive and multi- disciplinary patient-centered recognition, coupled with the advanced radiation oncology services offered in the new building, will bring innovative treatment and experienced cancer specialists to the community,” Fischer added. In addition to serving residents in the Metro-East, the clinic will benefit patients from smaller community hospitals within and outside of our system, including HSHS affiliate hospitals St. Joseph’s in Highland, St. Joseph’s in Breese, and Holy Family in Greenville, as well as Washington County Hospital, Sparta Community Hospital, Memorial Hospital of Chester, and others. 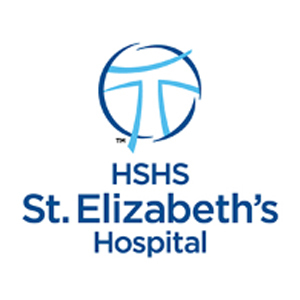 St. Elizabeth’s plans to open the new clinic in early 2020.